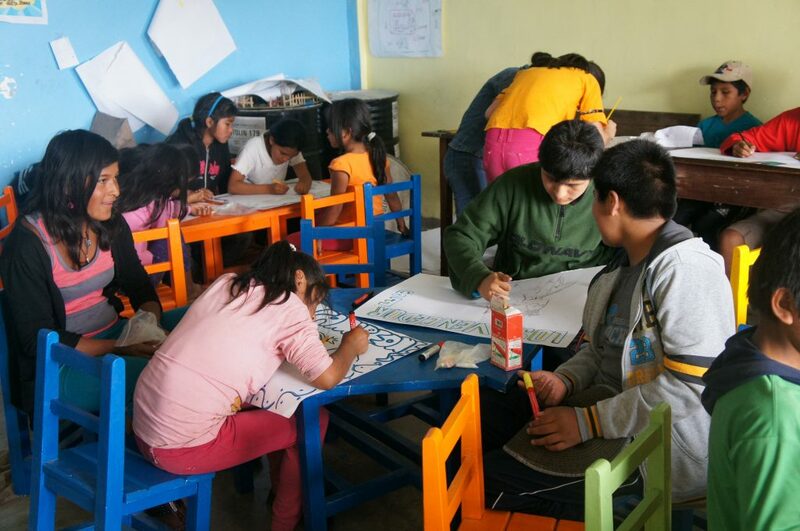 Many of the children we work with have difficulties with their formal education. Some have poor performance in school and others have simply stopped attending due to the pressure to work. We help and encourage them to value their education. In many cases, parents are absent for most of the day and/or did not receive adequate formal education themselves and therefore are unable to give them the attention, support and encouragement they need. In other cases, they simply lack access to the books and materials they need. The consequences to the children is that they themselves are likely to end up working long hours in low paid jobs – the cycle repeats itself. To break the cycle, we try to inspire and encourage the children to learn; to provide them with an environment appropriate to study and give access to the resources they need. We augment the school system by running fun, but educational classes that broaden their horizons, make them aware of their rights and responsibilities, instill basic human values as well as developing their self-confidence. We aslo try to inspire, encourage and help the children to learn and we are looking for people who can assist primary and secondary school kids with homework – especially with maths, sciences and Spanish. For those with specific needs, we provide tutoring to help them better understand the subjects they are learning in school and complete their homework.